Can you instantly fall in love with a place just by your first impressions? I don’t like Arizona all that much, only recently have I begun to explore it. What ideas I have about Arizona come from the Sonora desert and the politicians that don’t like me or my people. Yet this recent camping trip to Grand Canyon National Park proved me wrong on so many levels. For starters, I fell in love with Flagstaff. Secondly, the Grand Canyon has a pine forest around it! A travel article published in Feb. 27, 1892 illustrated magazine published in Chicago described Flagstaff and the surrounding country as “one of the most interesting regions between the Missouri and the Pacific.” I can’t argue with that description whatsoever because I found it to be spectacularly interesting. Hold on, this article didn’t do Flagstaff and surrounding environ any justice. For starters at an elevation of 7,000 feet, this area is a stark contrast to the low, hot, and humid southern section of the state- Phoenix and Tuscon. This mountain town is of epic geological proportions. It lies smack dab in the middle of an ancient volcanic field- the San Franciscan Volcanic Field. Sunset Crater, as well as the towering remains of a volcano, including the San Francisco Peaks, loom high above the city. This is just two of the over 600 volcanos that make up the field. Being just back from Guatemala, this idea of a looming Earth-vent-of-destruction was not just familiar but a soothing sight. The climate too seemed so similar to the drastically different climate I experienced in Lake Atitlan and Queztaltenango. And like that region of Guatemala, Flagstaff too had its rich heritage of indigenous folks. The reporter writing that piece in 1892 “predicted that Flagstaff would become a truly great summer resort and a world-famous gateway to some of the greatest natural marvels and most interesting native cultures.” But it wasn’t because the indigenous cultures or people made up the area, but rather because in 1853 Congress authorized that a transcontinental railroad route follow the 35th parallel which pretty much cut through the area that would become Flagstaff. And so the epic growth began, except it wasn’t much of a growth. Nearby were the ruins of the ancient Pueblo people at Wapatki. The San Francisco Volcanic field gets it name from the efforts of Spanish colonial enterprise with the Hopi tribes, in particular one of the oldest inhabited villages in the continental United States, Oraibi. It was recorded as having close to 3,000 residents in the 1540’s when General Francisco Vasquez de Coronado and his band of conquistadors arrived in search of the fabled 7 golden cities. They didn’t find the cities but they left Franciscan missionaries who built a mission near Oraibi and a church at the Zuni village of Awatovi. This was how the area began to take on Catholic and Spanish names. But Flagstaff, it got its name from a group of Bostonians who constructed a cedar flagstaff on the grounds of a ranch while celebrating the the 4th of July. They were headed out West, and the area of Flagstaff, and its potential, was not enough of a draw to convince them to settle down here. In that particular way, Flagstaff seems to be a sleepy college town out of place in Arizona. Residents of Arizona and the four corner states seem to have driven up the prices of real estate in the city, making it a vacation getaway. Sedona, not to far away, keeps Flagstaff competing for attention. 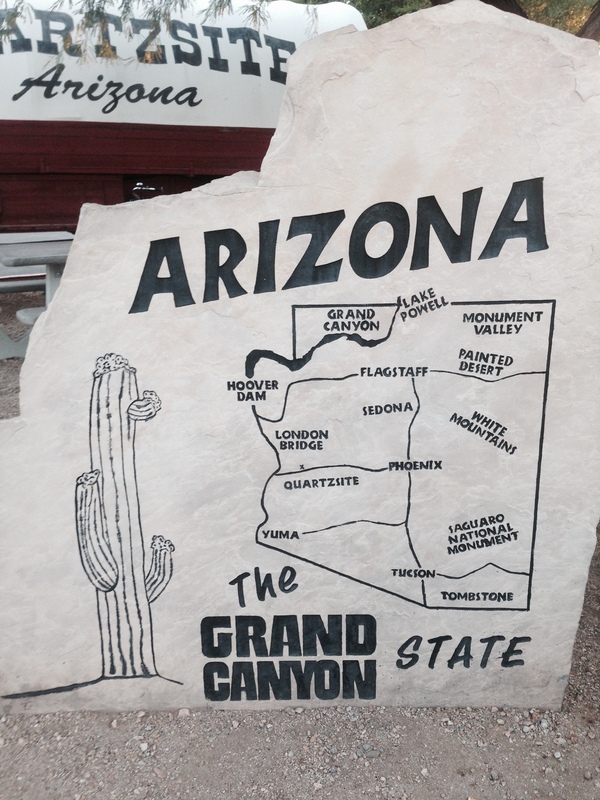 But in the end its Southern Arizona, Phoenix and Tucson, that seem to pull their weight and the politics of the state. Flagstaff could have become a pretty large city in the upper cooler climes of Arizona, but its relegated as the liberal step child of Southern state conservatism. And sadly, 120 years later, the natural wonders and indigenous cultures of Arizona seem to be the branding glue that keeps the coffers flowing. Yet when it comes to protecting those natural wonders and looking at addressing, equitably, the challenges of indigenous communities, Arizona seems content with the status quo. All of which I find to be sad stuff, and so much in comparison to how INGUAT (the tourism ministry of Guatemala) and the politicians of Guatemala treat indigenous cultures there.